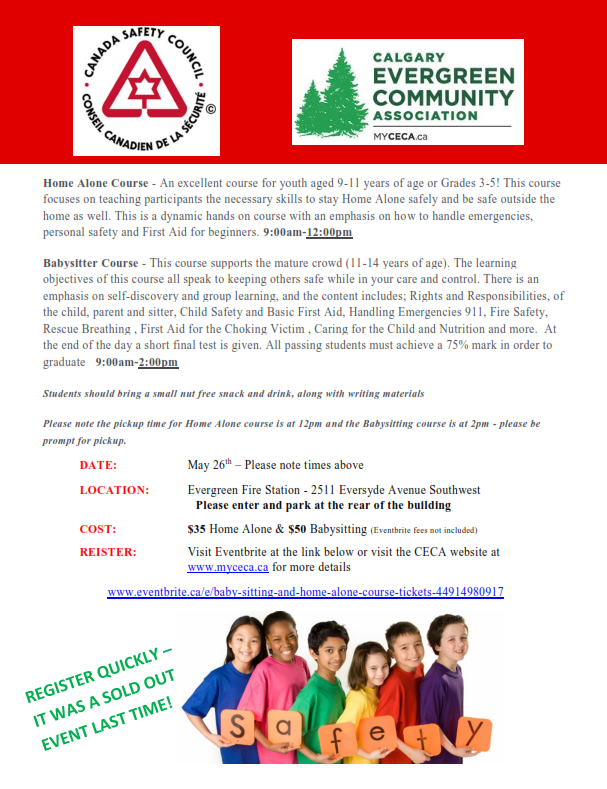 CECA Announces the Home Alone and Babysitting courses. Sat. May 26. Evergreen Fire Station. See the description below for course info. IMPORTANT: We are using Eventbrite for registration. Please double check your registration before you pay as we can not issue any refund.